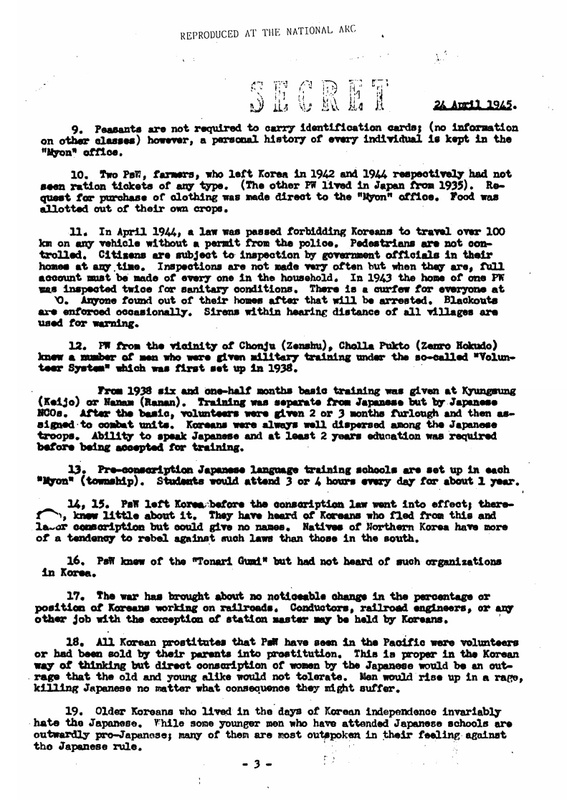 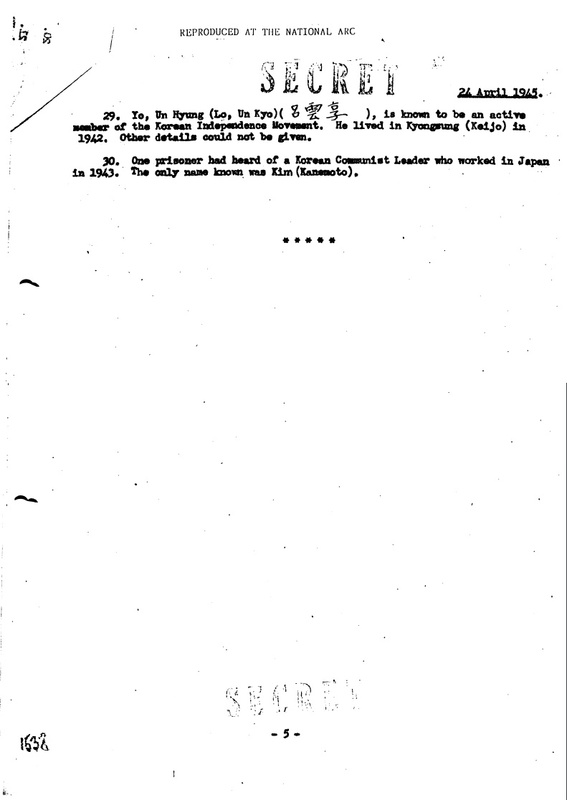 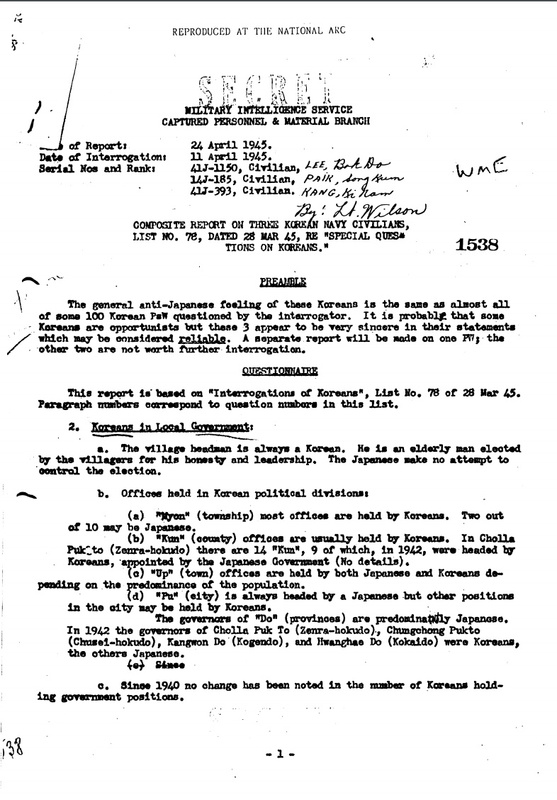 Paragraph 18: All Korean prostitutes that PoW have seen in the Pacific were volunteers or had been sold by their parents into prostitution. 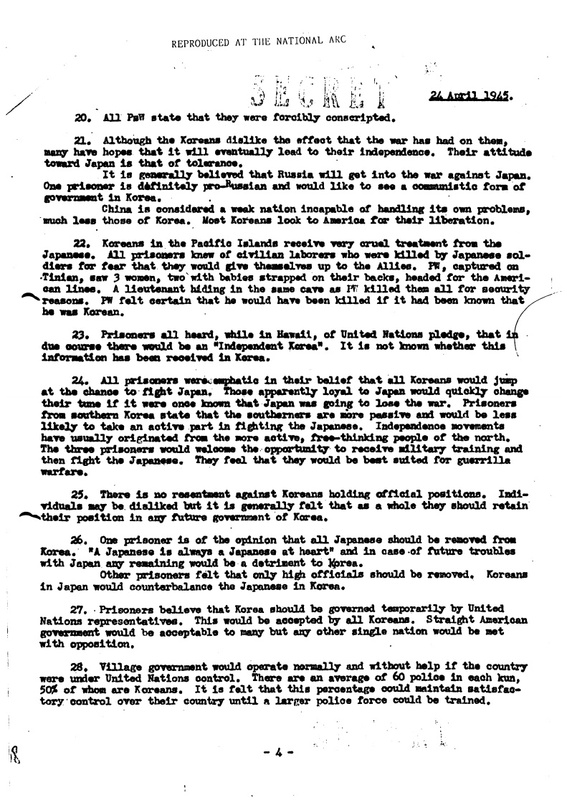 This is proper in the Korean way of thinking but direct conscription of women by the Japanese would be an outrage that the old and young alike would not tolerate. 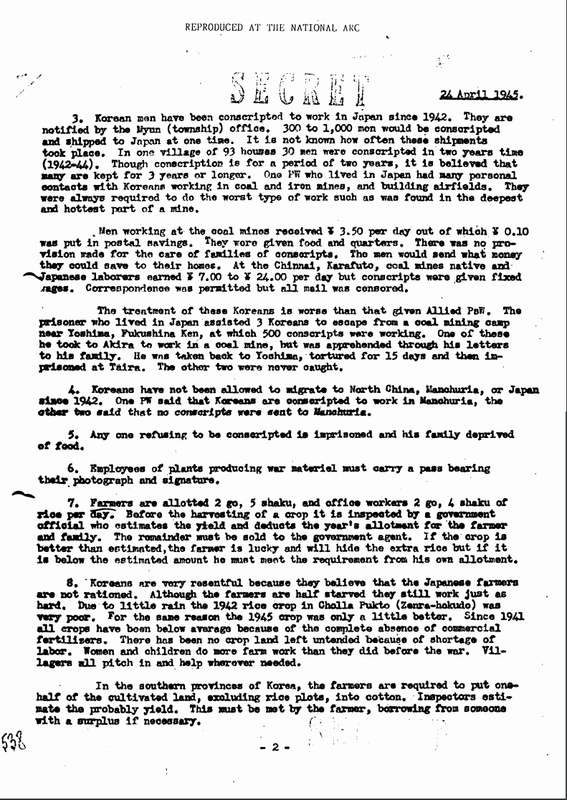 Man would rise up in a rage, killing Japanese no matter what consequence they might suffer.